From the book to the sketchbook from Swasky Films on Vimeo. Memories from Clermont-Ferrand. Gérard Michel. 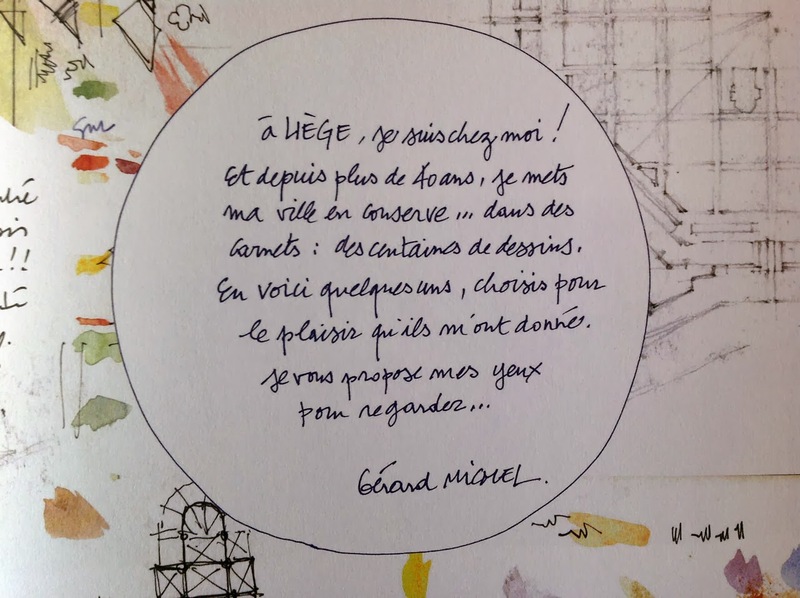 I'm happy of having met Gérard Michel one of the most gifted person for drawing. 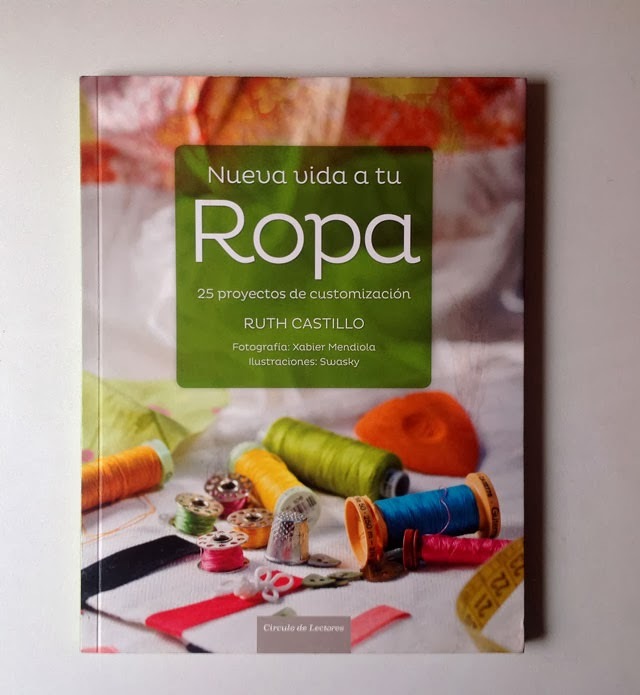 Inma Serrano called him when we met him the "plotter", "plotterman". It is wonderful the way he draws and uses lines. 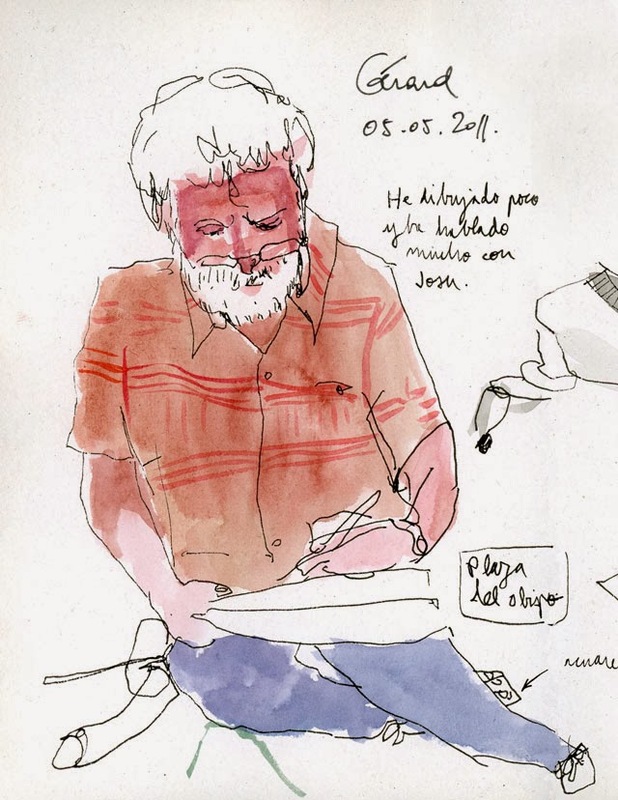 I met him in Málaga, thanks to Cristina Urdiales who organized a course about Urban Sketching. Well, I met again Gérard and he always has smile in his face and his drawing are amazing. We share sometime a supper and a wonderful car, but this is a different story. 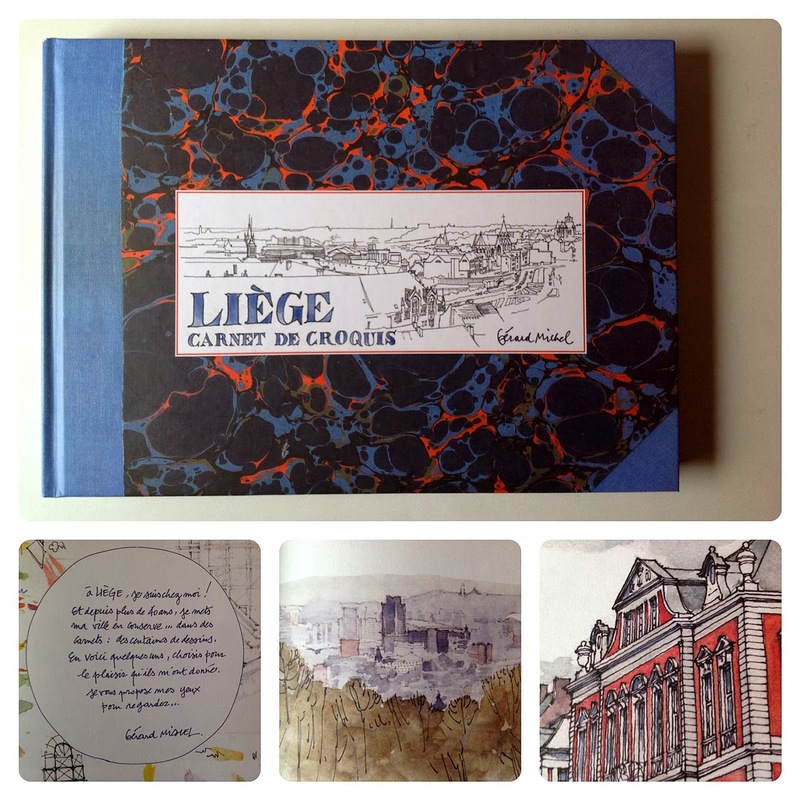 What I wanted is to introduce his book abou Liège his home city. 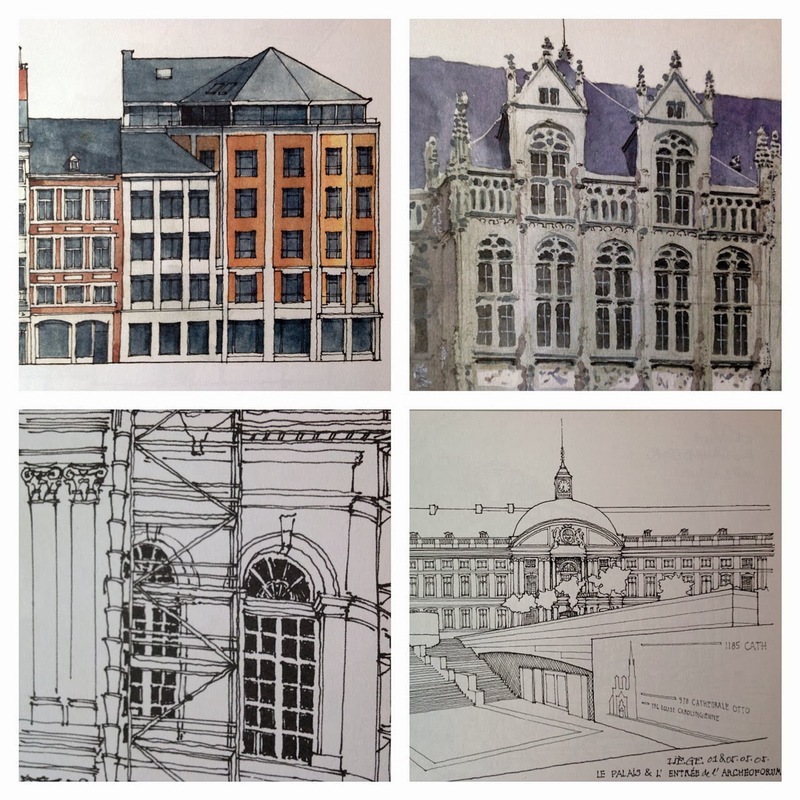 It is a compilation of wonderful buildings with line or watercolour or just one of them. 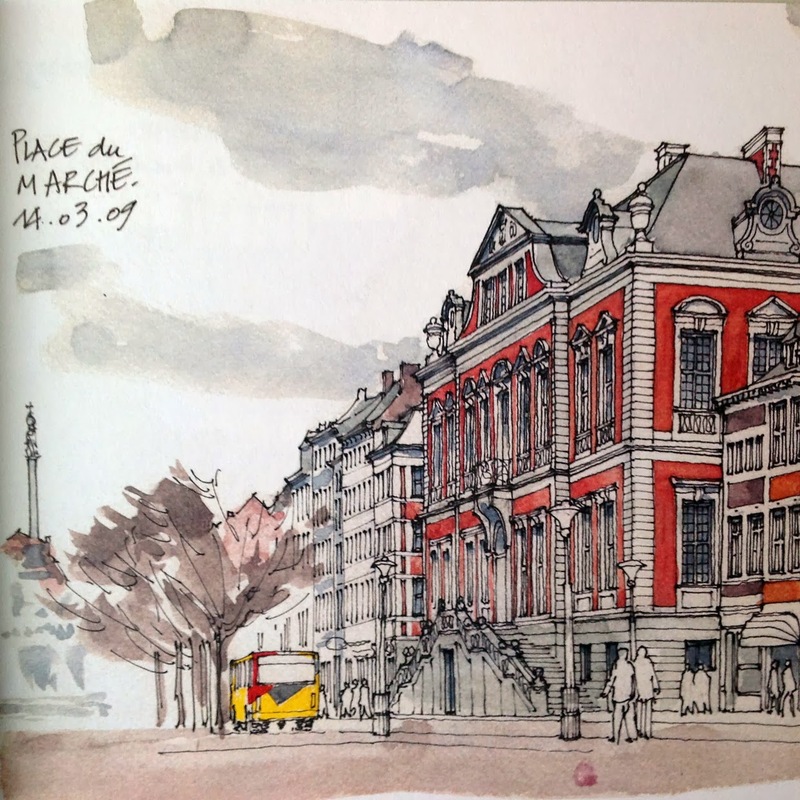 It is interesting because his background is architecture but his approach, even it could seem cold, is vivid.